Today I’m taking time out of my busy schedule to show you how to put elastic in the back of a skirt. This is a skill you’ll need if you crochet a skirt slightly too large in the waist… an easy thing to do because crochet is a stretchy fabric. This probably isn’t the most professional way to do it, but it’s the simple way my mother taught me and it works well enough to get the job done! First you need your otherwise complete skirt. Here’s one I prepared earlier. And you’ll also need pins, scissors, cotton sewing thread the same color as the skirt waist band, a sewing needle and of course a solid piece of elastic. 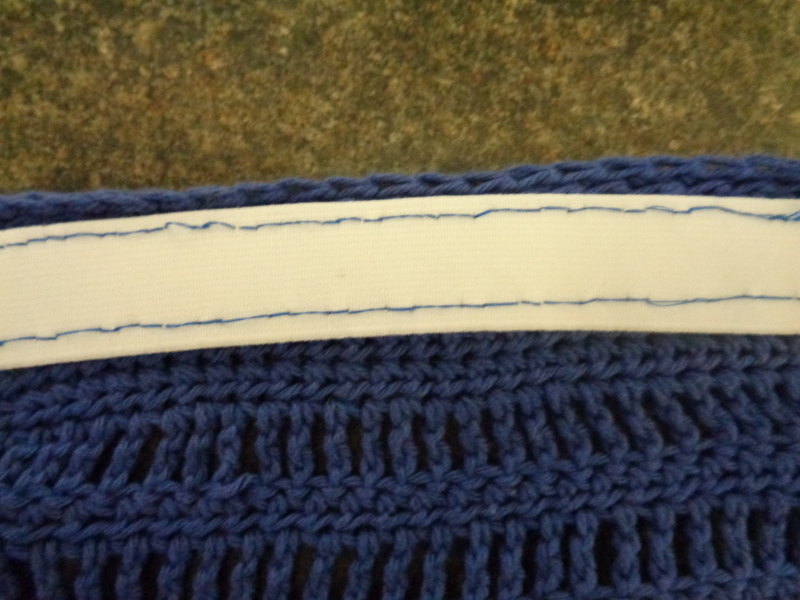 Make sure you go for a thicker elastic (2.5 cm/ 1 inch) rather than a thin one because crochet is a heavy material. Now you need to measure the back of the waist of the person who will be wearing the skirt. In this case it is 45cm. Next turn the skirt inside out and measure how wide the back is. In this case 47cm. 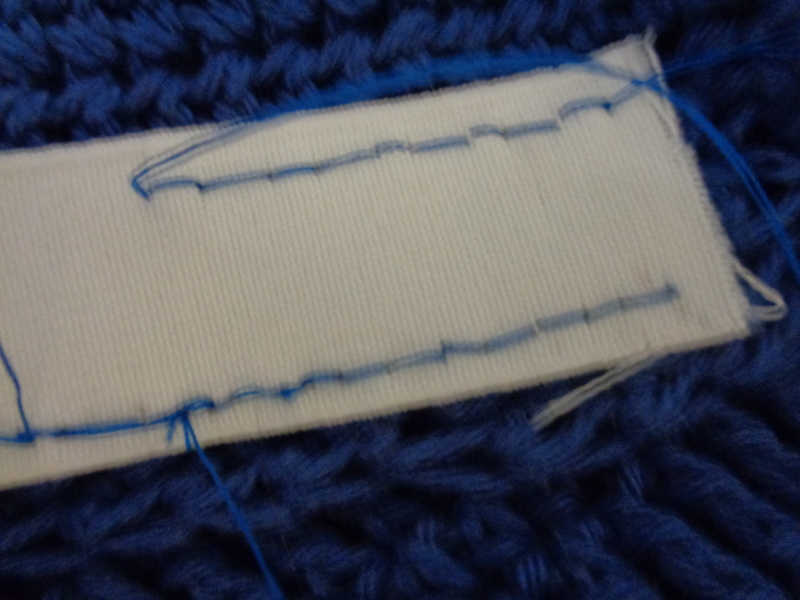 Now pin the beginning of the elastic to one side of the skirt solidly with 2 pins like this. 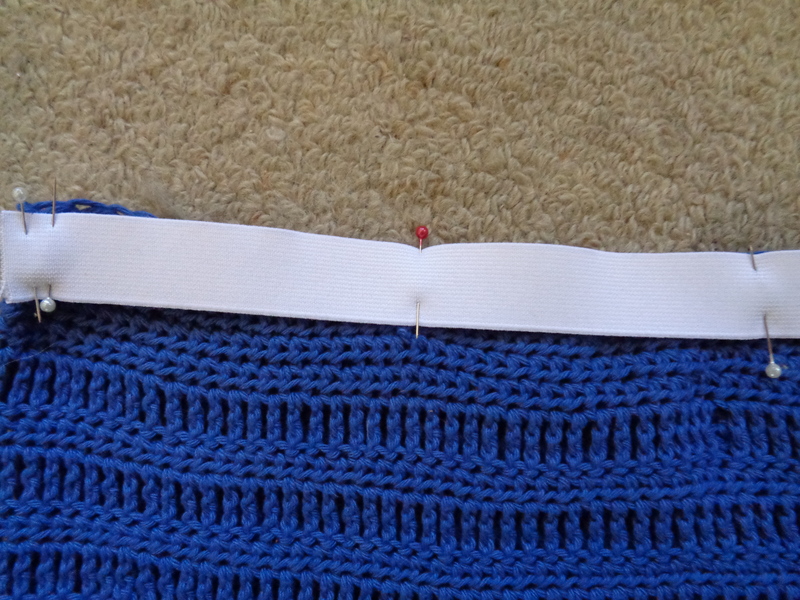 Measure the elastic to the full length required, in this case 45 cm (same as back measurement), then pull it a little tighter and pin it at the other end of the waist band. It should curl up at the end a little. You can also pin it in the middle. Then get the skirt wearer to try it on and see how well it fits. 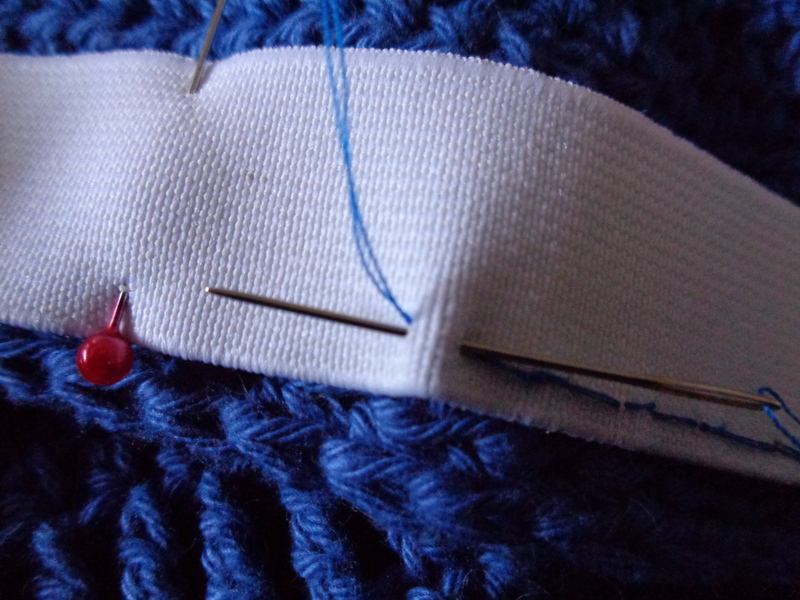 If they are happy add some more pins, either in a line along the elastic or intermittently like I have and then trim the extra elastic at the end. 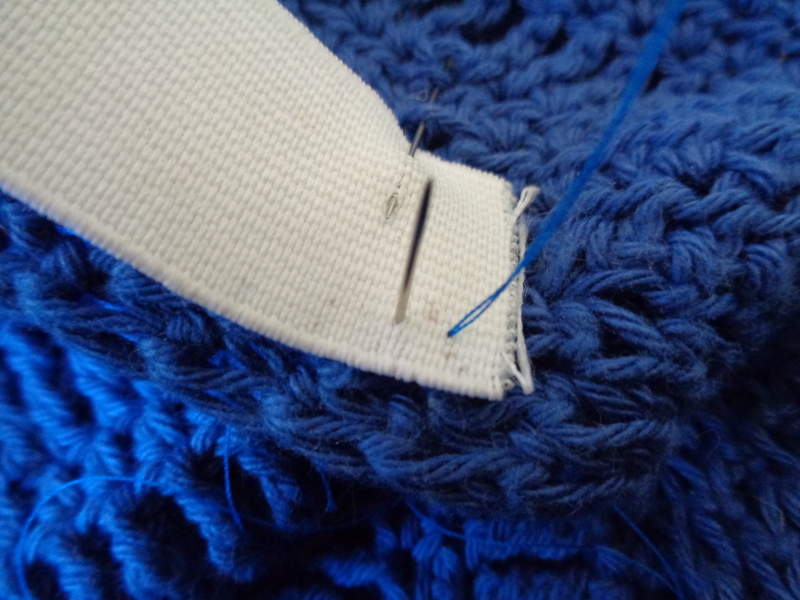 Complete this procedure along the top of the elastic, and then do it again across the bottom. 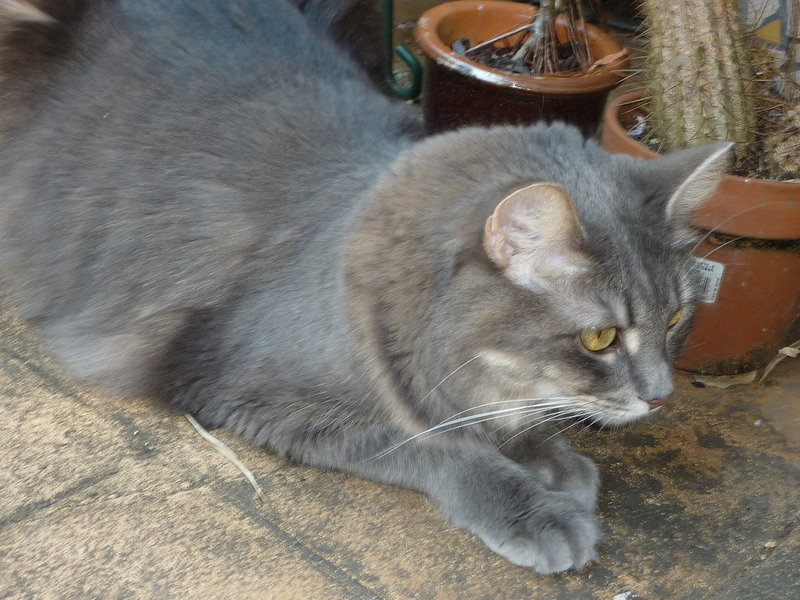 As you can see I’m not the neatest sewer, but it gets the job done, and then we can all go back to hunting lizards… I mean crocheting.